That is how I felt after the first 24 hours of being a chicken owner. Up till that point in my life I had never dealt with an animal “dying”. Yes, I had had a few cats and a dog pass away in my growing up years. But I was not there watching it happen. Big difference. In an earlier post I pointed out a little chick, Penelope, that was sick when she arrived. 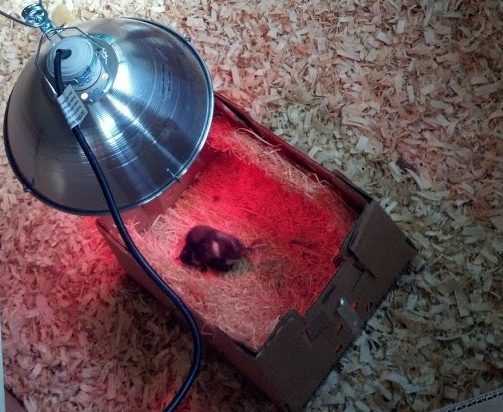 My Pet Chicken tries to make customers aware that occasionally there is a chick that is weak and may need extra attention when it arrives or a chick may pass away due to being weak. Just to give you an idea, I have had three orders ,32 chicks in all, from MPC and I have had only one chick pass away. That being said, I was totally prepared for a weak chick. So when Penelope, a Barred Plymouth Rock, wasn’t moving around I knew I should help her by getting fluids and food in her. I was totally surprised when she ate and drank like a champ. She just didn’t move. The next morning I went out to the mudroom to check on the chicks. Penelope wasn’t any better. One of her legs was actually sticking straight out. At first I thought she had died, but she was still chirping. I picked her up, took her inside and again she ate and drank just fine. I couldn’t understand it. I was all over the internet that day trying to figure out what I could do to help her. I just kept reading that as long as they were eating and drinking they would perk up soon. So every hour or so I would go out and help Penelope eat and drink. But she just wasn’t making any improvement. In researching her symptoms, I read that chicks can be born with a neurological problem. They would be able eat and drink with help, but basically you are just prolonging an agonizing death. That hit me like a freight train. I don’t panic easy but when you feel like you are causing anyone , animal or human, pain/trauma …I can’t explain it. It’s makes your stomach turn into knots. It was too late in the day to call My Pet Chicken for help. I had no idea what to do. So I went outside to call Chad and tell him what was going on where the kids couldn’t hear. I had planned the conversation in my mind…cause that is what crazy people do…I was going to tell him that Penelope wasn’t going to get better and I needed him to stop her suffering. Okay, easy enough to convey. All he said was “hello” and I just started hyperventilating and balling my eyes out. I am sure he thought a child had been injured or something life altering had happened. He tried to calm me down and asked me what happened. I told him “I can’t do this anymore.” I told him about what I had read and that I was making Penelope suffer…balling the whole time. It’s a wonder the man could understand a word I was saying. He was so sweet, he told me it was going to be okay, to leave Penelope alone and he would take care of everything when he got home in a couple of hours. When I got off the phone I was still balling like a baby, guilt wrecks a person apparently. I sat in the driveway, sobbing and praying over Penelope. I remember telling God “I know she is just a chicken…and there are so many more deserving prayers…but that he knew the desires of my heart…and my desires were for Penelope not to be suffering.” After I prayed I just had this feeling that I was suppose to give Penelope till morning. I am sure Chad was relieved when I told him he was off the hook, at least for now. Later that night Penelope’s neck started twisting a little and by the time I was heading to bed her neck was twisted pretty bad (pictured above). I quickly looked up this new symptom and up pops “wry neck.” Apparently it was a vitamin deficiency that make a chicken’s whole body tense up. One person related it a severe charlie horse/leg cramp. As soon as MPC phone lines opened the next morning I was on the phone. I spoke with Shannon. She was super sweet and helpful, they all are. I listed the symptoms and she immediately said it sounded like wry neck, which she had dealt with once before. She suggested I get a poultry liquid vitamin, available at most co-ops. As soon as I got off the phone I drove into town. My store carried Poultry Nutri-Drench and only one size container. I believe I paid $22 for a quart. I wish they had had smaller sizes since I wasn’t going to use very much and had no idea if this would actually fix the problem, but in a pinch you take what is in front of you. I got home and gave Penelope one drop with a kid’s medicine dropper and hoped for the best. In less than six hours she was sitting like a normal chick and by evening she was running around with her buddies. Praise the Lord! I was totally amazed. 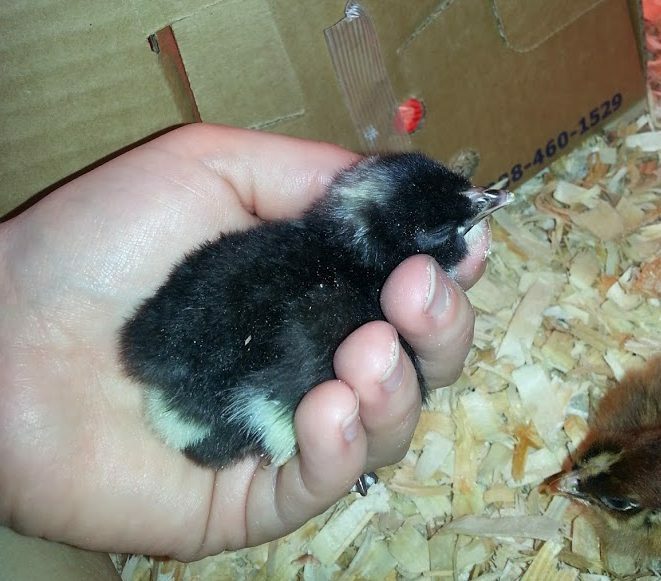 The chick I put on death row only 24 hours before was completely fine. I continued to give her one drop a day for around a month I think. Which was no easy task. She knew it was coming every morning and she ran like crazy to get away. 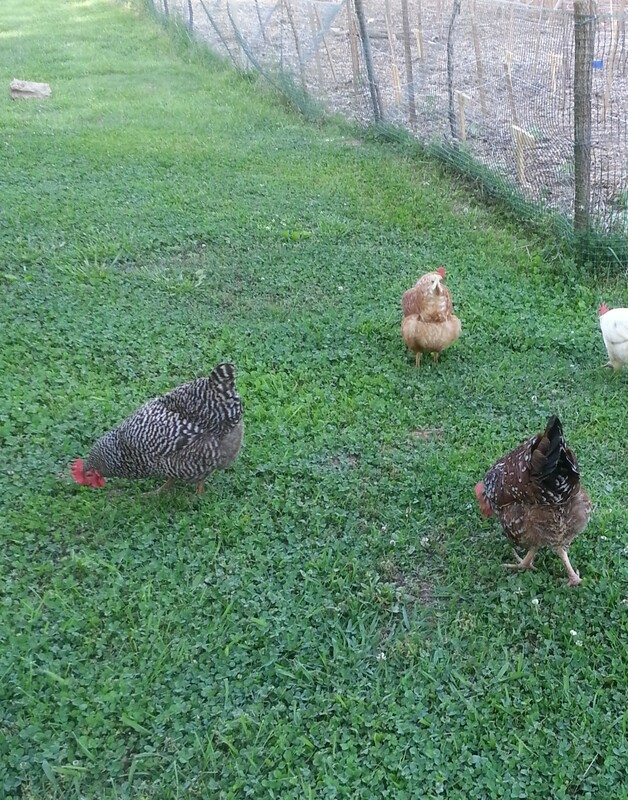 Penelope Is now over three years old and still one of the flock favorites (black and white barred chicken). So in the end…..I guess I can do this.